I came across this interesting story whilst searching the Internet this evening. It relates to a feud between the Bowns and the Murphys that ended up with Timothy Murphy being shot by Robert Bown. I wasn’t able to see a way I could contact the owner of the website containing the story, but I’m sure they won’t mind me reproducing it here with a link back to their original story which is HERE. The Murphy family lived on their selection at Jung Jung from 1872. By 1880 they held a second selection a few miles south of the town, where they kept sheep. Because the land was open at one end the sheep became “boxed” in with those of the neighbouring Bown family. In November, Ted’s eldest brother James demanded the return of the sheep. However 16 year old Robert Bown and his mother Catherine Bown refused to release them, and maintained that James should point out his sheep and they would throw them over the fence. James refused, holding back the hand of Mrs Bown so as to enter the sheepfold and obtained his sheep. The Bowns charged James with assault, with Mrs Bown claiming Jim tied her to a fence and whipped her. The magistrate scoffed at the woman’s testimony, and fined James one pound for restraining her hand. The feud between the Murphys and Bowns simmered for a period of time, but on Easter Sunday (April 17th 1881) Timothy Murphy and Robert Bown were seen fighting behind the house of the keeper of the rail gates in Jung Jung. According to one witness, Bown was talking to the station-keeper’s sons whilst sitting on his horse. Murphy rode up and the two quarrelled. Timothy pulled Bown from his horse and laid 8 solid punches into him before Bown jumped the fence. Timothy “got the better of it” and was first to leave. Robert Bown then declared to the gate keeper’s sons that the next time he saw Murphy he would fill him with shot! On Sunday May 22nd Timothy rode his horse through a clearing where the Bowns were shepherding their flock, while returning from the selection. Robert Bown threatened to shoot him if he passed that way again. A week later, on May 29th, Timothy and James set out to the selection after Sunday lunch. They began to race each other to the destination. Timothy took the shorter route through bush, while James stuck to the the beaten track. From time to time James could see Timothy through the trees, but then would lose sight of him as the woods thickened. He finally lost sight of him a minute before hearing the repeat of a gun. He crossed through the bush to find his brother “quite dead”, and Robert Bown and his sister Catherine kneeling over the body. A younger Bown child was standing nearby. Bown took flight and the girls hid behind a mound which had been built to prevent Taylors Creek from flooding the farmlands. An autopsy revealed that Timothy was shot at close range while he was still on his horse. The shot left a four inch (10cm) hole in the left side of his chest, and his heart was riddled with shot. He died instantly. Timothy was buried in the Horsham cemetery two days later on May 31st. Bown headed south to Longeranong, toting the murder weapon with him in the event that he meet up with the police. After hiding out in a hut for a couple of days he was arrested trying to catch a train near Horsham. His sister Catherine was arrested that same day. A jury inquest in Murtoa found that Timothy was murdered by Bown. The prosecutor expressed doubts about the testimony of the doctor holding up at the trial in Ararat. 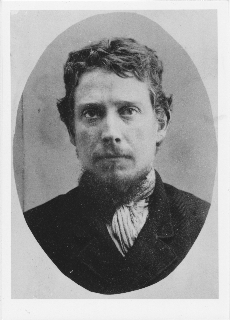 Another witness had approached Robert Bown’s father, Samuel, to seek a loan. This witness was judged to be slippery and shifty. Several jurors were challenged, one because he had a previous conviction for manslaughter. The police seemed to believe that Bown and his sisters had lain in wait for Timothy behind the mound, knowing that it was his custom to pass that way each Sunday. The court case heard a number of witnesses for the prosecution, but none were called by the defense. The defense counsel gave the court what the paper considered a “brilliant” speech, casting aspersions on the Murphy family, declaring James to be a cowardly man who assaulted old women, and generally attempting to salvage what he could for his client. The judge clearly favoured Bown in his instructions to the jury, ignoring all medical or other evidence, and introducing his own theories of what really happened. 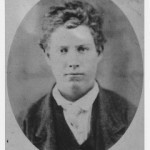 The jury decided that the young Robert Bown was guilty of the lesser crime of manslaughter. The judge in sentencing said he was embarrassed by the result and in imprisoning Bown for eighteen months hard labour, declared he would write to the authorities seeking to have Bown kept separate from the worst elements in the prison. Bown served his time in in Ararat and Pentridge prisons. On release from jail Bob Bown returned to the Horsham district. However, within a few years he fell foul of the law again, being charged for five crimes of larceny, theft and receiving stolen goods. Each crime earned a consecutive sentence of 6 months, thereby leaving him incarcerated for a further two and a half years. 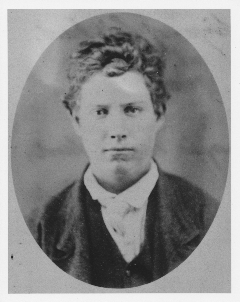 Eventually Bown married in Warracknabeal and moved to Western Australia, where he was divorced and eventually died. Robert Bown, who was brought before the Court yesterday on a charge of having murdered a young man named Timothy Murphy at Jung Jung on the 29th May last, was again placed in the dock this morning, and his counsel, Mr. Purvea, being in attendance, the case was proceeded with. 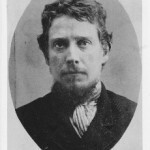 The principal witness for the prosecution was James Murphy, a brother of the deceased, who gave evidence to the effect that some disagreement had arisen between the prisoner and the family of witness respecting the identity of some sheep, and a police court action resulted, accused being fined £1. On Sunday, the 29th May, witness and his brother left home on horseback for the purpose of visiting a selection belonging to their mother. They went slowly for about two miles along the track, and subsequently they started to race. Witness obtained the lead, and kept the road for about half a mile His brother was then abreast of him, but about 20 chains to the west, cantering very slowly. A flock of sheep was in front of his brother when he met the prisoner kneeling down about four or five yards away. Bown’s sister Catherine and a younger girl were also there. They were looking at something on the grass, which witness conld not at first see, but on the latter approaching the three ran away. Prisoner had a gun in his hand. Witness then saw the body of his brother. Deceased was lying on his back with his head to the north, quite dead. Witness was subjected to a long cross examination, without in any way shaking his testimony. William D. V. Dalton deposed that he was near the place where the body of deceased was found at the time the shot was fired. He ran towards the place, and saw Catherine and Alice Bown rushing away and young Bown crouching against the fence. At the police camp, Horsham, on the 1st June, witness saw the prisoner after his arrest, and the latter said that Murphy got down from his horse, struck him, and while struggling for possession of the gun it went off. No evidence was called for the defence, but Mr Purvea reviewed the evidence for the Crown at considerable length, arguing that the catastrophe was the result ot accident. Murphy had previously thrashed the prisoner, and been victorious In struggling to get possession of the gun which the prisoner, a mere lad, carried to keep the carrion birds from molesting the lambing ewes, the piece was discharged accidentally. The Court rose at a few minutes after 7 o clock, his Honour the Chief Justice having left it to the jury to decide whether they would hear his address that night, or adjourn till next morning. On the Court resuming business this morning, his Honour proceeded to charge the jury in the case against Robert Bown for murder. His Honour’s summing up was not lengthy, but he reduced the evidence to its several points, and in a very lucid manner explained the case, his remarks being somewhat favourable to the prisoner. After a short retirement the jury returned into court with a verdict of guilty of manslaughter. His Honour sentenced the prisoner to l8 months imprisonment.